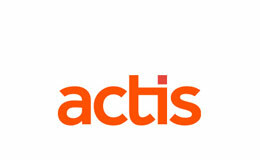 Actis is an English private equity firm that makes alternative long-term investments in emerging markets. The company’s capital is allocated in three fields: energy, real estate and private equity. Atlantic Renewable Energy works on the development, implementation and operation of electricity generation from renewable sources. Headquartered in Curitiba, the capital of Parana state, the company also operates in other states: Piaui, Rio Grande do Norte, Bahia and Rio Grande do Sul. The company has already sold 642 megawatts in both ACR (energy public auction) and ACL (free negotiation between sellers and buyers) projects. All enterprises have remote monitoring systems, controlled at the Operations Center located at Atlantic’s headquarter in Curitiba. Atlantic Renewable Energies establishes a safer and profitable business model for its investors, keeping its commitment to provide a clean and reliable energy source. Quality is a fundamental feature of our enterprises, that demonstrate high capacity factors and guaranteed power generation. Combined with Atlantic’s management model, that follows ESG (Environmental, Social and Corporate Governance) principles, high technology and qualified professionals guarantee reliability in the operation. Sustainability is inextricable from Atlantic’s business strategy. In the regions where the company operates, its actions focus on reducing environmental impact, developing local communities and providing safety to workers. Since June, 2016, Atlantic is 100% controlled by the investment fund Actis, a leading private equity investor in emerging markets with a growing portfolio of investments across Asia, Africa and Latin America.